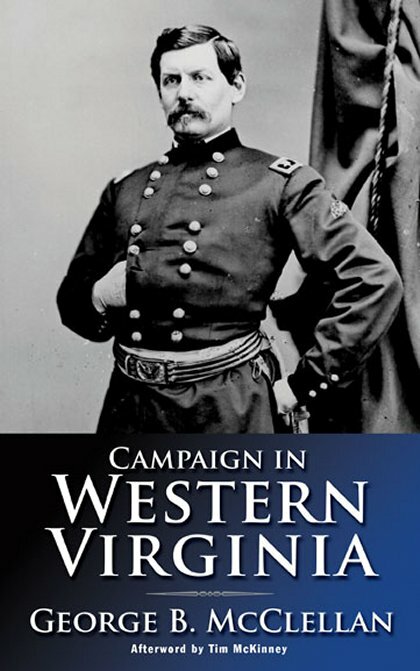 Back in print after 144 years, this slim volume, written by McClellan himself in 1863, describes his activities in the future state of West Virginia. It offers a unique insight into the mind of one of the most famous of Civil War figures. Indexed with supplemental materials, including archival telegraphs to and from noted individuals during the campaign. Major-General George Brinton McClellan (1826-1885) organized the Army of the Potomac and served briefly (November 1861 to March 1862) as the general-in-chief of the Union Army. McClellan failed to maintain the trust of President Abraham Lincoln, and proved to be frustratingly insubordinate to the commander-in-chief. After he was relieved of command, McClellan became the unsuccessful Democratic nominee opposing Lincoln in the 1864 presidential election. 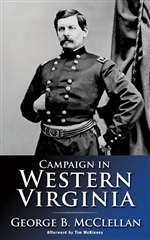 His party had an anti-war platform, promising to end the war and negotiate with the Confederacy, which McClellan was forced to repudiate, damaging the effectiveness of his campaign. He served as the 24th Governor of New Jersey from 1878 to 1881. He eventually became a writer, defending his actions during the Peninsula Campaign and the Civil War.